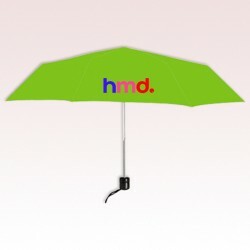 43 Inch Arc Personalized Super-Mini Telescopic Folding Umbrellas are manufactured with polyester material and they are offering an imprint space of 7" W x 4" H to showcase your brand logo well. 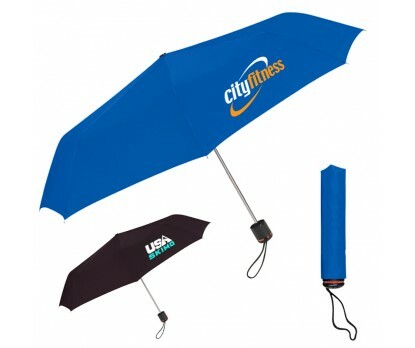 Give away these custom umbrellas in conferences, business meetings and gatherings to increase your brand familiarity among users. 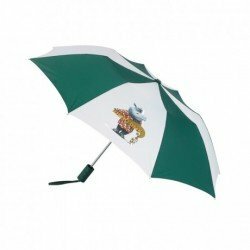 Presented in a number of two-tone and solid color choices, these custom promotional folding umbrellas are also featuring matching colored sleeves for storing them neatly without losing style. 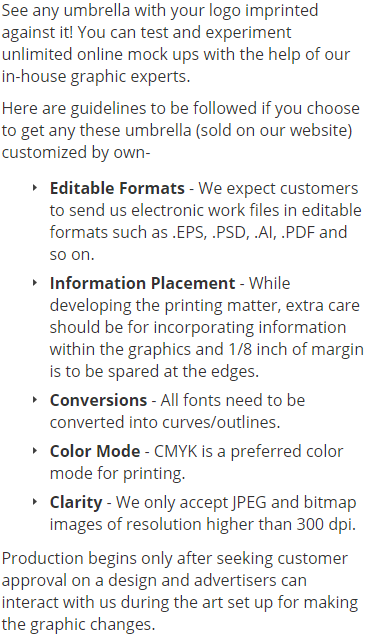 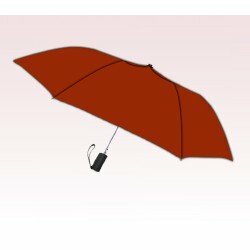 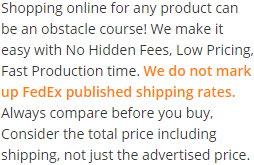 Order these manual open umbrellas right now to get free custom design and free online proofs facilities. 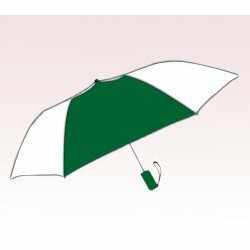 Request a quote to know what you can save on ordering these 43 Inch Arc Personalized Super-Mini Telescopic Folding Umbrellas in bulk.